Contrary to what many people think, a room doesn't have to be small to be cozy. But it does have to be warm and comfortable. You might be measuring a room's “cozy quotient” by strict definitions, but coziness really comes down to a feeling. Add a warm paint color. In general, light colors tend to make a room feel lighter and bigger while warm colors – mustard, brown, coral and green – can make a room feel smaller and more inviting. If you're skittish about making a huge color change, consider painting the dominant wall in the room a warm color. It can become a transforming focal point. Make a wall (or even a partial wall) of photos. You may not want to smother that warm-colored wall with photos, but a photo montage on another wall can infuse a room with energy and visual interest. Photos can be magnetic, enticing visitors to take a closer look and family members to bask in that feeling of easy intimacy. Nothing says, “Come in and have a seat” more convincingly than an actual seat – or better still, two seats. Look toward corners to place small chairs and a table or even a vertical stack of books. Expand your reach; bistro tables and even some “outdoor sets” can look surprisingly “at home” indoors. Floors are an obvious place to begin. Even if you have carpet, place a colorful throw rug under a main seating area and small throw rugs near doors. Rugs can instantly alter a room's personality – and supply it with one, too. For rooms containing a long wall, consider hanging a curtain panel from floor to ceiling. Pillows and throws can provide the final finishing touches. 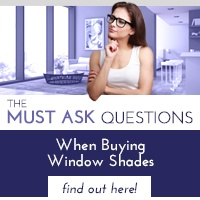 Hang fabric shades on the windows. 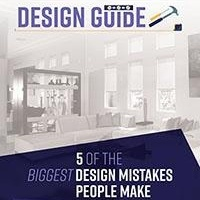 Reach for the brass ring and achieve the “cozy quotient” by softening the hard surface of windows with the softening influence of window shades. 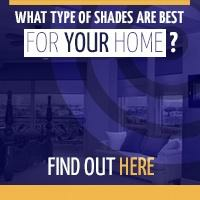 With or without valances, shades are available in a multitude of colors and styles to complement the look of any décor. 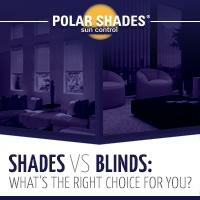 For the highest quality shades cut and made by hand by the very same people who sell them, turn to Polar Shades. When “cozy” is your prerequisite, Polar Shades has many ways to fulfill the order. Call 702-260-6110 for a free in-home consultation.